View More In Chew Toys. 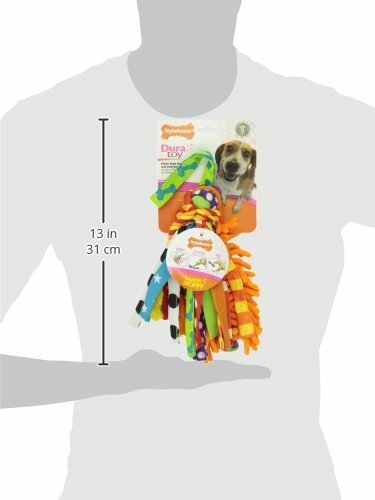 Nylabone Dura Toy interactive toys entertain dogs with their fun patterns, textures, and premium fabrics. 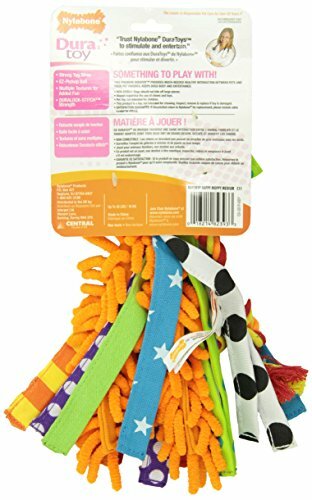 Made with DuraLock-Stitch Strength, the Dura Toy Happy Moppy offers delightful shake-and-tug entertainment. The center ball is easy for dogs to pick up, the tug strap allows for tugging, and the multiple tails are great for shaking. 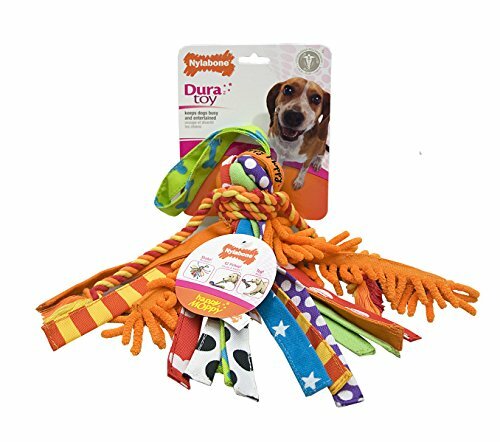 Available in wacky characters and fun designs, Nylabone Dura Toys facilitate healthy interaction between you and your dog.